The amount of time children spend in front of screens can affect their cognitive functions and development, according to a new study published in The Lancet Child & Adolescent Health journal. Screen time, physical activity, and sleep are three key components in maintaining -- and improving -- cognitive skills, researchers say. Health experts advise that children between the ages of eight and 11 engage in at least an hour per day of physical activity, get nine to 11 hours of sleep per night, and spend no more than two hours per day in front of a screen. However, based on this study and the Canadian 24-Hour Movement Guidelines, only one in 20 children in the United States are meeting the recommendations. The researchers performed a cross-sectional, observational study using data obtained from the Adolescent Brain Cognitive Development study. The researchers focused on data collected from September 2016 through September 2017 and observed 4,524 children aged eight through 11. The three areas of most importance to the researchers were screen time, sleep, and physical activity. Both the parents and the children completed questionnaires at the beginning of the study to gauge typical behaviors in these three areas. While keeping household income, ethnicity, body mass index, traumatic brain injury, parental and child education, and pubertal development in mind throughout the study, the children also participated in a cognitive exam that helped the scientists gauge their working memory, processing speed, episodic memory, attention, executive function, and language abilities. The findings showed that nearly 30 percent of the children involved in the study didn’t meet any of the recommended guidelines, just over 40 percent met one, 25 percent met two, and five percent met all three. “Behaviors and day-to-day activities contribute to brain and cognitive development in children, and physical activity, sedentary behaviour, and sleep might independently and collectively affect cognition,” Dr. Jeremy Walsh, lead author of the study, said in a press release. In the study, 50 percent of the children met the recommended hours for sleeping per night, 37 percent met the recommended screen time, and 18 percent met the recommendation for physical activity. The children in the study displayed better cognition when they met more of the recommended guidelines, though the children that met either just the screen time guideline or both the screen time and the sleep guidelines showed stronger cognitive development. The researchers did note that the findings from the study do come with some limitations, in part due to the observational nature of the study. Additionally, because of the questionnaire format of the study, the responses could be affected by self-reporting bias. Also, because the questionnaires were used only at the onset of the study, they don’t show the effects of these behaviors -- or cognitive development -- over time. However, Dr. Walsh noted the need for further research in this area. “Evidence suggests that good sleep and physical activity are associated with improved academic performance, while physical activity is also linked to better reaction time, attention, memory, and inhibition,” Dr. Walsh said. 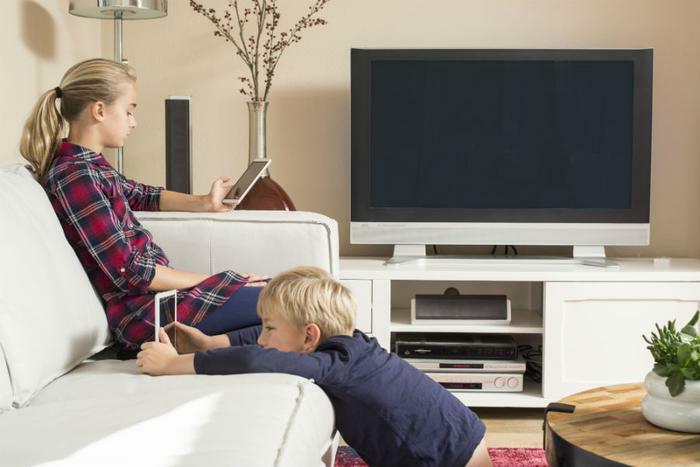 “The link between sedentary behaviours, like recreational screen time, is unclear as this research is in the early stages and it appears to vary depending on the types of screen-based activity. “Based on our findings, pediatricians, parents, educators, and policymakers should promote limiting recreational screen time and prioritizing healthy sleep routines throughout childhood and adolescence,” Walsh said.